A physiotherapist in a remote rural town, the GP who is VMO at the local public hospital and its sole doctor, the nurse unit manager at the hospital itself, an outreach psychologist with a regional public hospital who consults in the town, and a psychiatrist at a metropolitan teaching hospital attend a five-way teleconference to plan the treatment of a psychiatric patient resident in the town. The patient has been involved in an accident and is in need of physiotherapy, bed rest and monitoring for adverse impact on a psychiatric condition for which the metropolitan specialist is the remote treating consultant. This scenario raises many issues that health care agencies and providers need to address. For example: Who owns the health record of this teleconference? Who is responsible for its accuracy, confidentiality, consent and security? How is the record accessed by the participating practitioners? What about the legalities and logistics of patient access? How will the information be ‘wrangled’ if an adverse outcome leads to litigation involving medical indemnity insurance? How is the record coded for the purposes of activity-based funding, and for health planning? 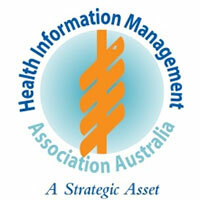 Who is accountable for the long term electronic storage of the record, and its interoperability with other electronic health information systems such as the My Health Record and interstate eHealth information networks? How is the multidisciplinary intelligibility and consistency of its language ensured? In other words, who is missing from this telehealth consultation? The Health Information Manager, and their clinical coding team. Without the systematic management of the information involved in telehealth consultations by health information professionals, clinical governance is challenged. Management and dissemination of health information is paramount to the success of telehealth.